For me the whole point of pasta based meal is that you don’t have to cook too much, but you can still have a bit of fun with what goes with it. 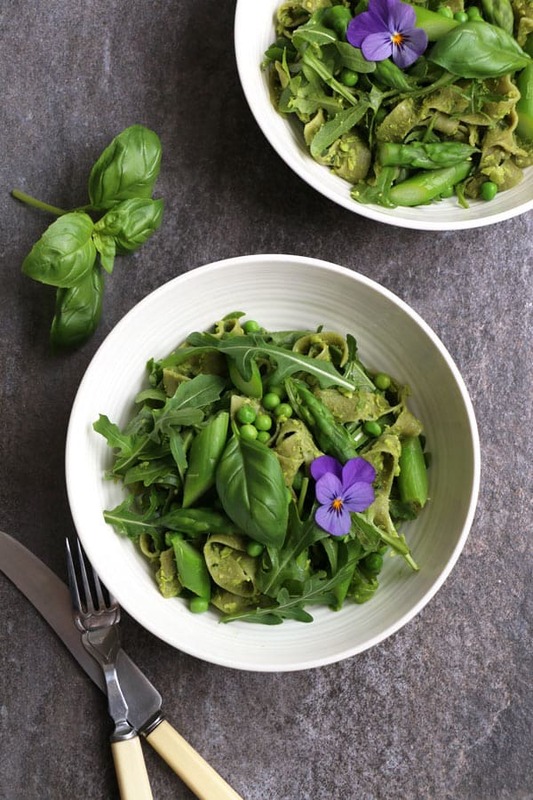 This Asparagus Peas Pasta with Green Pea Pesto is a recipe for one of those days when you crave high carb comfort and quick meal, but you still want it to be healthy and possibly green. 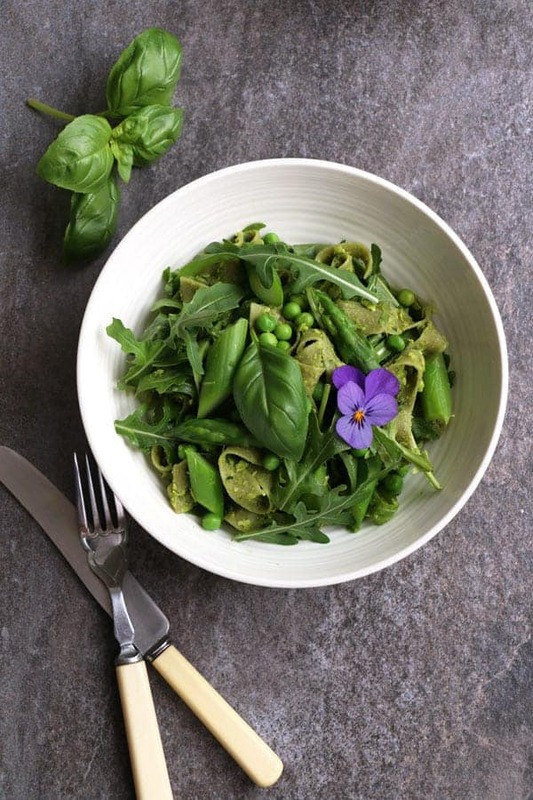 This pasta is so green that you can’t even see it in there, but you surely can taste it. 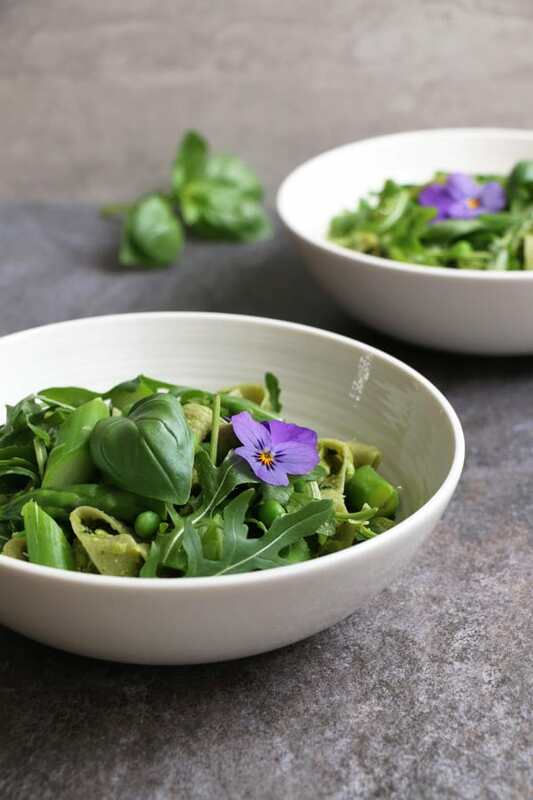 The freshly cooked pasta is tossed with green pea pesto, asparagus, peas and fresh rocket leaves for the ultimate comfort spring time meal. Cook the pasta following the pack instructions. Prepare the asparagus by snapping each of the asparagus stalk discarding the woody bits. To blanch the asparagus, bring pot of water to boil, add asparagus, cover and boil for 3 min. Rinse under cold water. 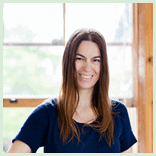 Cut stalks diagonal into ½" pieces leaving the tips whole to arrange on top. Cook all the peas together in one go. If using frozen peas, place into a pan with water, bring to a boil and simmer for 3 min. Rinse with cold water and drain well. If you're using fresh peas you can skip this step. To save time you can also cook the peas together with the asparagus. Place all of the ingredients for the green pea pesto into a food processor and blend until desired consistency. 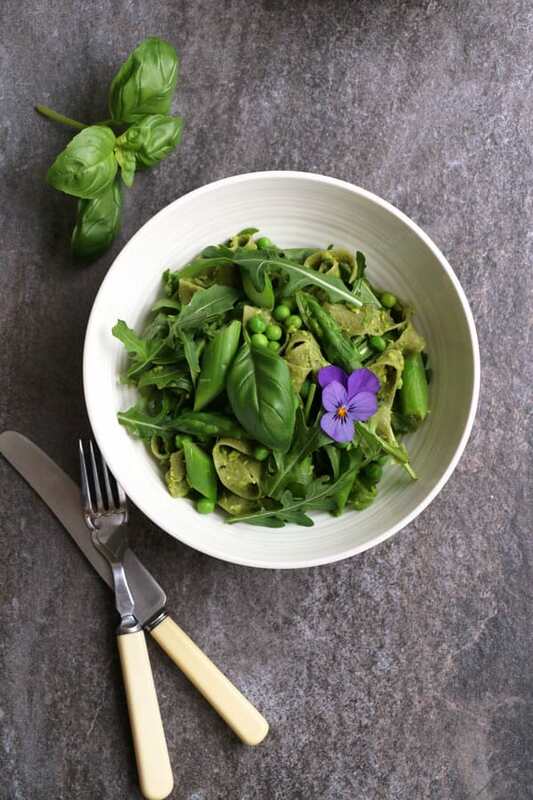 Toss the pesto through pasta until coated, then toss in asparagus, peas and rocket and place onto serving dish. Top with asparagus tips and serve. I never seem to make pestos, but they are so good and can be so fresh and the perfect amount of flavor for any dish! 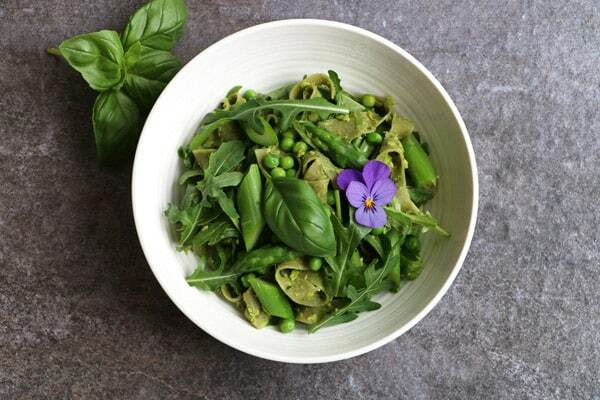 This is the prettiest bowl of green goodness! Will have to give this one a try soon! I think you made the prettiest bowl pasta I have ever seen :) And ohh boy it looks so scrumptious! Peas are so precious because they seem to come in and go out of season so fast. Since I freeze batches of pesto for my kids, this seems like a great way to extend the pea season, too. 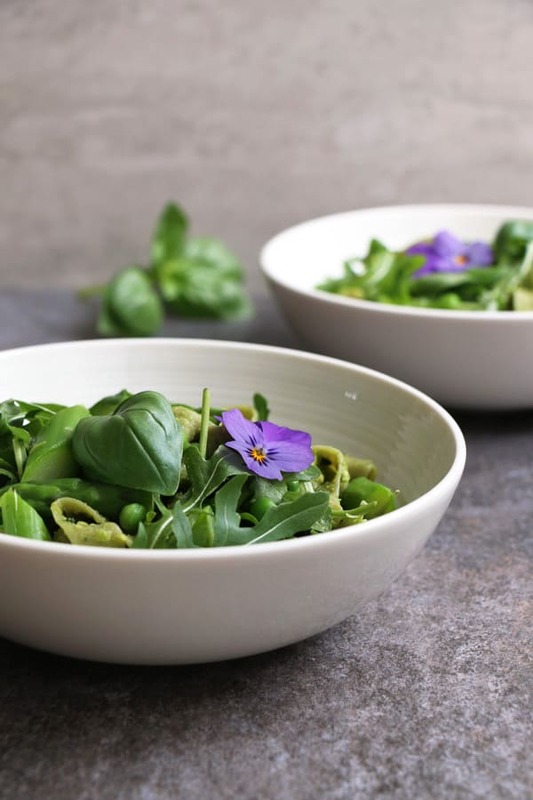 Such an enticing bowl of green goodness you’ve created. Thank you so much Lynne for your lovely comment! You are so right, fresh peas really are precious, I used to love growing them as a child:) There are so perfect for kids!